In 2016, we relocated from our previous location in Yonkers, NY into a newly-constructed and greatly upgraded space in Mount Vernon, NY. The new facility was designed my Francis Manzella and FM Design. 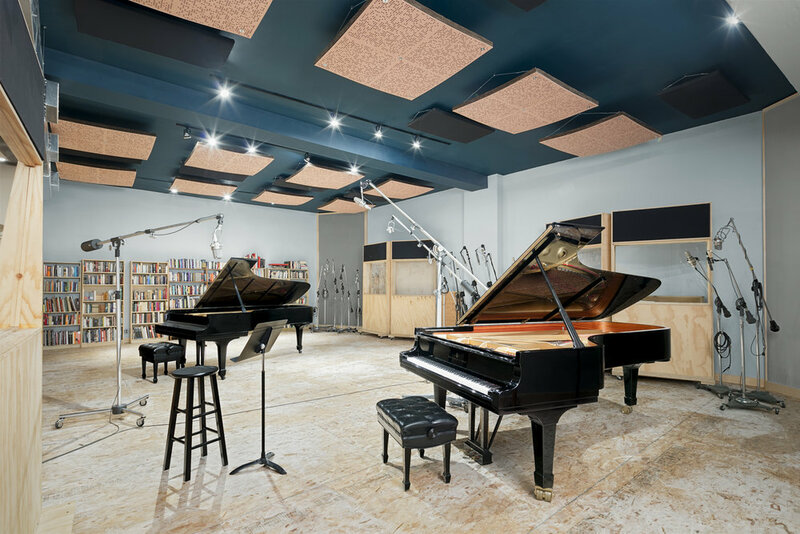 Our warm and inviting live room (42' x 30' x 13') is a wonderful space for chamber music and acoustic ensembles of all types, and it can comfortably accommodate large ensembles of up to 25-30 musicians. The 140 sq.ft. main/drum booth and 70 sq.ft. 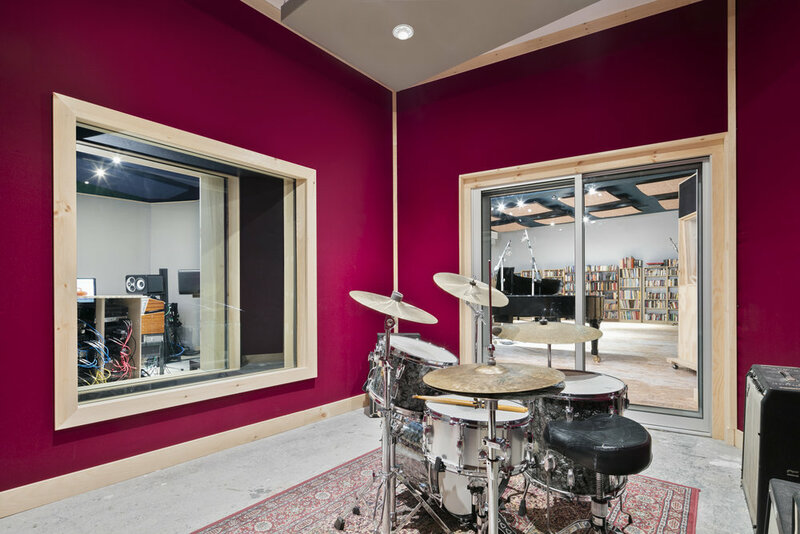 sound lock / iso booth are adjacent to the live room and are supplemented by a small, fully enclosed booth (ca. 50 sq.ft.) for bassists and soloists within the live room itself. Control Room B (ca.275 sq.ft.) doubles as a larger iso with HD CCTV links to all other recording areas, and similarly the sound lock can accommodate soloists with visual connectivity to the other rooms. In all, a total of four isolated spaces with sight lines to and from the live room are available. Additional space with audio-only tie lines is available for guitar and bass amp isolation. 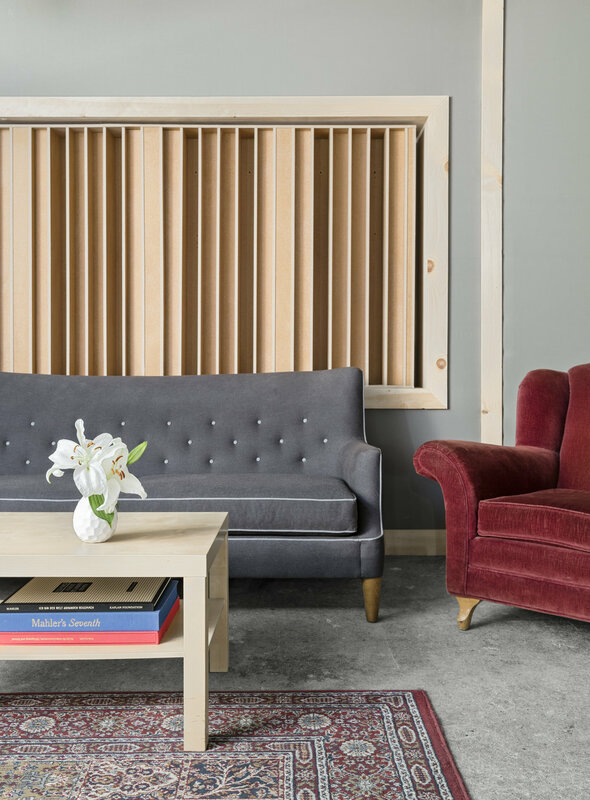 Oktaven's 415 square foot Control Room A provides ample space for critical listening and editing. The room and monitoring were tuned by Francis Manzella for a flat frequency response and wide sweet spot. Equi-Tech balanced power provides clean mains voltage for all of the outboard gear, console, and monitoring. Control Room B was designed with the same room ratios as the A room and serves as a comfortable editing and tracking space for smaller projects as well as an auxiliary iso for the main complex as required.